Four strangers meet by chance at New York's Pigeon Club one rainy night and share a drink. One of their number, Charles Engle (John Qalen), turns out to have been caught embezzling company funds from his long-term business partner in order to bankroll a venture on behalf of his no-good girlfriend and now faces prison, a situation that has driven him to suicidal despair. Boozing one-time Pulitzer-winning playwright Eugene Gibbons (Thomas Mitchell) determines to help the poor weed claw back the $3,000 he needs to repay his debt, colluding with gum-chewing chancer Bill O'Brien (Douglas Fairbanks Jr) and Nina Barona (Rita Hayworth), a novice showgirl, to wangle Engle an invite to a gangster's poker game. The trio assume that if Engle poses as a rich rube, the hoods will allow him to win a few early hands to give him a taste for it, at which point he can make his excuses and clear out before the higher stakes kick in. Naturally, things do not run quite according to this otherwise inspired plan. Currently showing at the BFI Southbank as part of a Love Goddess retrospective, Angles Over Broadway from writer-director Ben Hecht is a strange fish indeed. The plot description above may make it sound like a screwball comedy, but it's really too dark and noirish for that. The four players are uniformly excellent but Qualen in particular is given a melancholy part to play while much of Mitchell's droll, Fieldsian bar room philosophy smacks of its author's own savage world view: "I speak as one who has destroyed himself a score of times. I am, Mr Engle, a veteran corpse. We are all corpses here! This rendezvous is one of the musical graveyards of the town. Caters to zombies hopping around with dead hearts and price tags for souls." 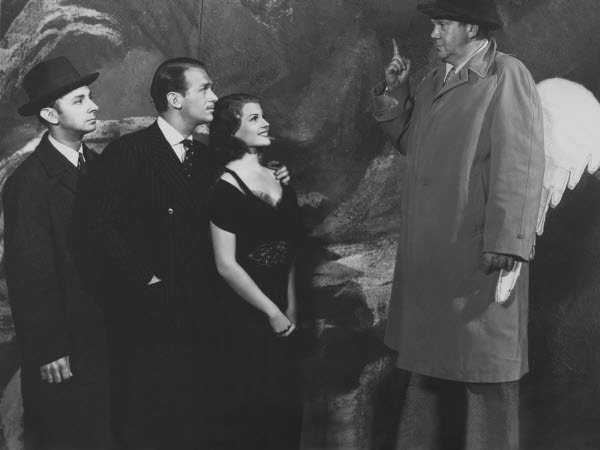 The mobsters too are a forbidding bunch and all-too-plausible, which means it's left up to the burgeoning romance between Fairbanks and Hayworth to inject some much-needed levity. His O'Brien though is disgusted by her readiness to leap onto the casting couch of jaded theatrical impresario Hugo (Fred Sweeney) in exchange for a career boost and his disdainful attitude towards her thereafter constantly threatens to curdle the milk. 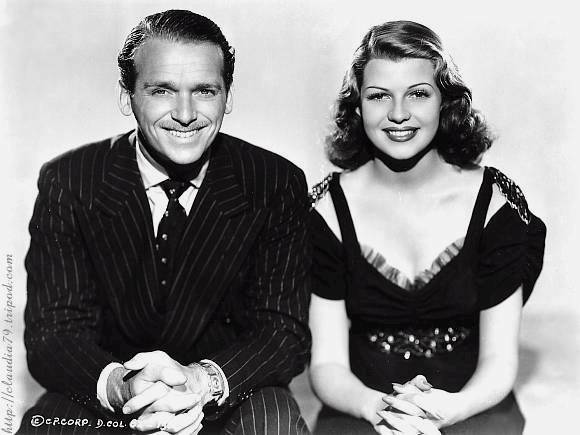 Still, despite the abiding bitterness of Hecht, a former Chicago Daily News journalist who broke the "Ragged Stranger Murder Case" before being summoned out West by Herman J. Mankiewicz, Hayworth is charming in a star-making role and so is Fairbanks, the film's associate producer, as the know-it-all hustler, although Mitchell probably steals it for his orotund wit. Hecht's screenplay ultimately lost out on an Oscar to Preston Sturges for The Great McGinty and there's no shame in that.